Wolfsburg - An in-form VfL Wolfsburg are aiming to maintain their top-four push when they host 11th-placed, but improving, Hamburger SV at the Volkswagen Arena in Matchday 14’s curtain-raiser on Friday night (kick-off 20.30 CET). Hecking has overseen an upturn in form since the club’s only home loss of the season to Eintracht Braunschweig on Matchday 8. Other than FC Bayern München, no team have picked up more points than Wolfsburg's 13 in the last five games, but Hamburg have designs on achieving consecutive wins for the first time under Bert van Marwijk. Wolfsburg have one member of their own squad who's done just that this term. Attacking midfielder Maximilian Arnold has usurped Diego as the Wolves' chief playmaker in recent weeks, the 19-year-old having found the net four times this term. Despite his youth, Hecking will be looking to the midfielder - especially in Diego's absence - to continue Wolfsburg's incredible scoring return against HSV: only SV Werder Bremen (53) have conceded more Bundesliga goals in the Wolves' lair than Hamburg (52). The visitors will have to ensure they do not move top of that list without talismanic captain Rafael van der Vaart, who is close to a return after an injury on international duty. 19-year-old Hakan Calhanoglu, who scored his third of the season in the Hannover win, will continue deputising in the playmaker role. 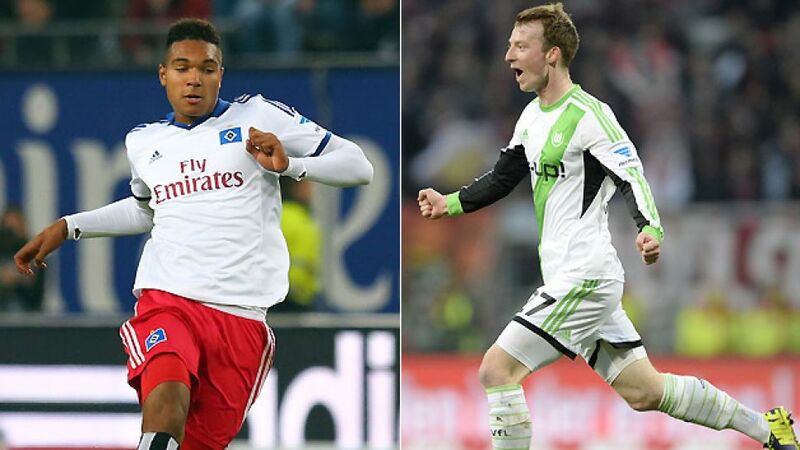 One such resource is 17-year-old Jonathan Tah, who extended his contract this week. Given the league-high 17 goals the Red Shorts have conceded on their travels this season, the youngster is likely to be a key figure. That said, the division-leading 18 away goals Pierre-Michel Lasogga and Co. have netted stands the guests in good stead to dig themselves out of any holes.